Dr. Blackgaard's quest to steal Applesauce reaches its peak as he and crony Richard Maxwell take control of the computer at Whit's End. Theme: God's protection in times of trouble. 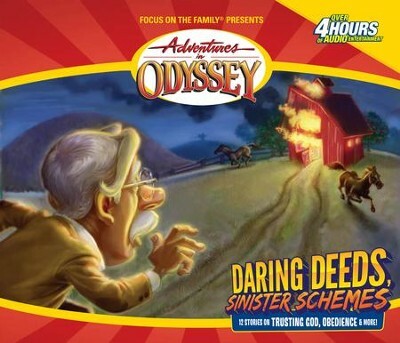 I'm the author/artist and I want to review Adventures in Odyssey® 084: The Battle, Part 2 of 2 [Download].